Kniphofia is a sort of perennial plants which is ranked as the family of Asphodelaceae. This exotic plant arrived to our regions from Africa and from the island of Madagascar where lived in a wild form near various reservoirs. Kniphofia received the main name in honor of the botanist Johann Iyeronim Knipkhof though this plant can brag and other very widespread names, such as: tritoma, torch lily and others. Kniphofiya's height usually makes from a half a meter to 150 cm though also lower types sometimes meet. The plant has the short and thick root, gray-green leaves collected in the radical socket, and the unusual. The small flowers collected in dense inflorescences and reminding the brush or a whisk can be red, fiery, orange, scarlet, yellow or greenish coloring. Kniphofia. 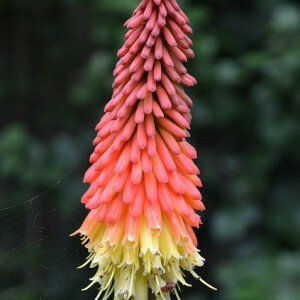 Kniphofia variety. Kniphofia cultivation.